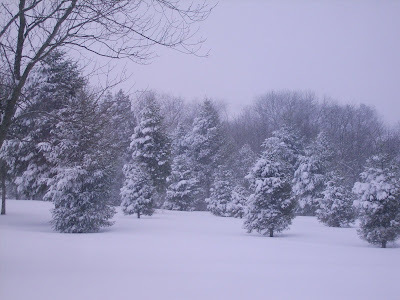 As of right now, we are averaging 14 inches of snow in our area, and there is more to come! This is the view looking out my kitchen window. Makes a great Christmas Card!